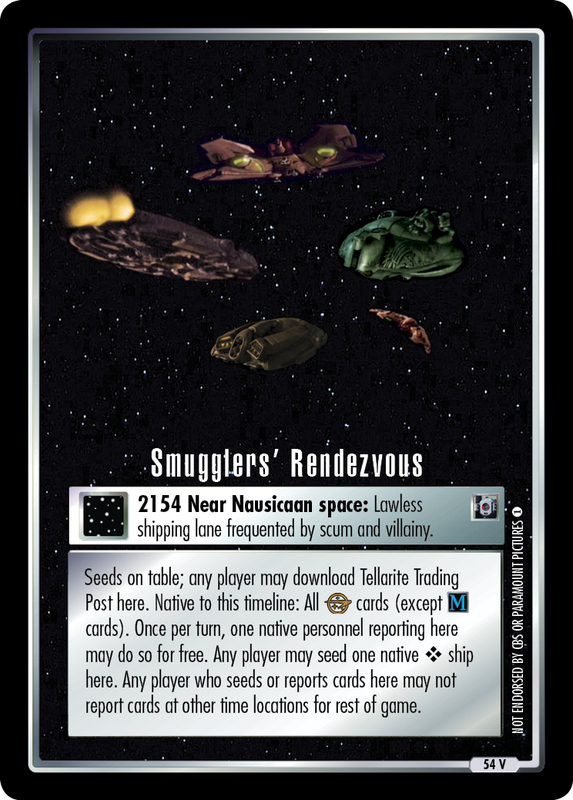 2154 Near Nausicaan space: Lawless shipping lane frequented by scum and villainy. 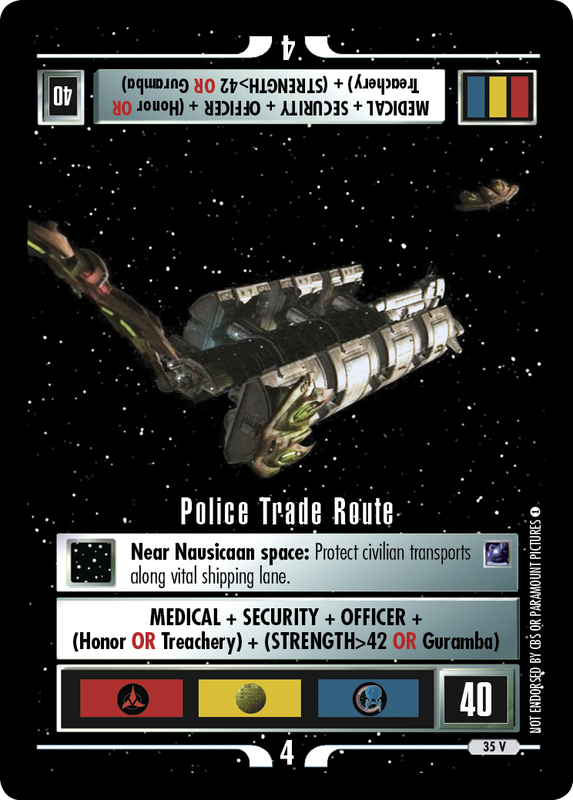 Seeds on table; any player may download Tellarite Trading Post here. 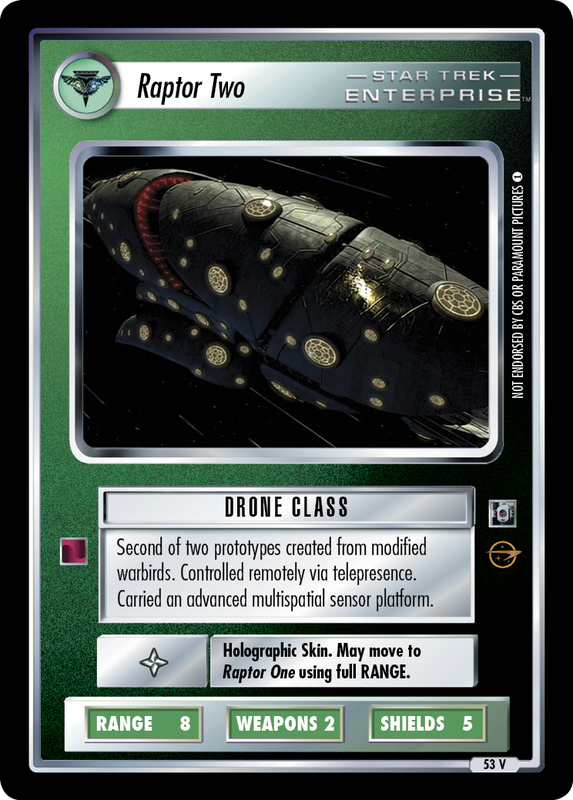 Native to this timeline: All cards (except cards). Once per turn, one native personnel reporting here may do so for free. Any player may seed one native ❖ ship here. Any player who seeds or reports cards here may not report cards at other time locations for rest of game.